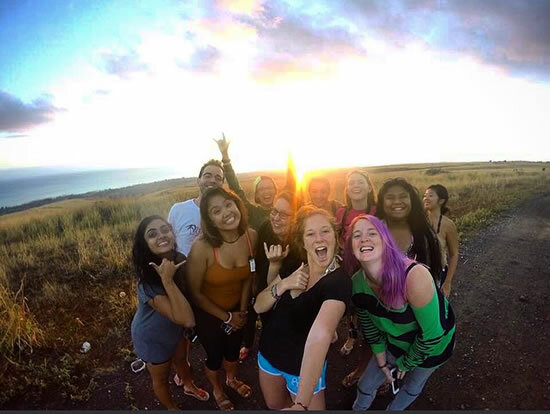 For over a decade, the University of Hawaiʻi at Hilo Campus and Community Service office has sponsored a program called Break Thru Adventures (BTA) where groups of students travel to different islands in the state and serve the local communities in various ways. Typically, each group is comprised of 8-12 students, with 2-4 groups taking part in the trip. BTA is an alternative to a traditional spring break vacation. Our program is a service-learning vehicle designed to impact students by offering life-changing experiences and a catalyst to create positive change in the communities we visit. Each site will allow participants to connect with other students, the land we are working, and to network with public and private community partners. Dates for the trip are determined each year but will always run during the week of Spring Break. Break Thru Adventures is an eco-service program that helps to teach students leadership skills and service to others! While on the neighboring islands, BTA members volunteer with agencies and organizations such as: The Nature Conservancy, The National and State Park Systems, National Wildlife Refuges, and other non-profit environmental organizations. BTA is a great way for students to learn about Hawaiʻi’s unique environments and communities while working to preserve and protect them. The mission of BTA is to offer a drug and alcohol-free service learning project to the diverse population of UH Hilo that promotes empowered citizenship, environmental sustainability, and an appreciation for the Hawaiian culture. BTA recruits student volunteers who are interested in working hard, getting dirty, and having fun. Students are expected to work for 5 of the days they are on the island. Days are long, the work is physical and in varied terrain. Accommodations are often rustic. BTA is not your traditional Spring Break vacation. 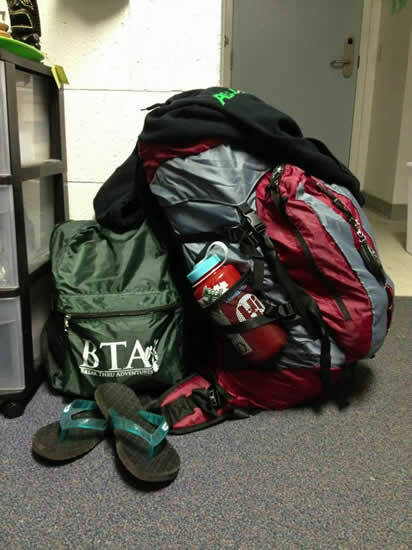 For those who are seeking adventure and are committed to service, BTA is the program for you. Island assignment is first come, first served when payment is received! Past sites, in order of the most recently visited, are listed below, host sites very year to year. Lānaʻi - Assisting with reforestation, installing fences to protect conservation land and removing invasive species at Kanepuʻu Dry Land Forest. 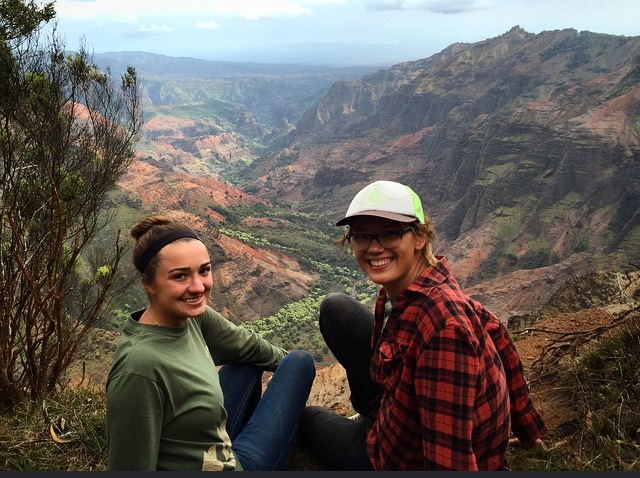 Kauaʻi - Working in lo'i patches and native preserve locations. Molokaʻi - Working to help protect the endangered nene goose, including tasks like catching and tagging birds, counting nests, and more. Maui - Partnering with NOAA to collect ʻopihi, and removing invasive species at various locations. 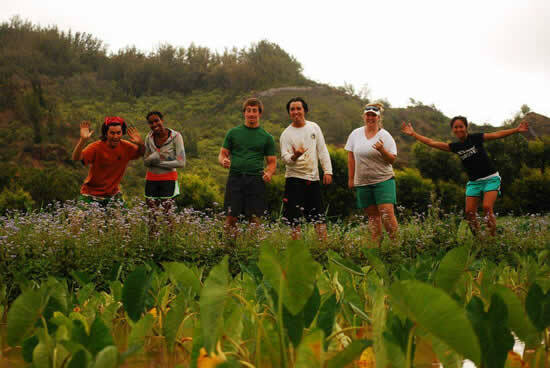 Kahoʻolawe - Through Reforestation of Native Hawaiian plants to rebuilding the watershed. 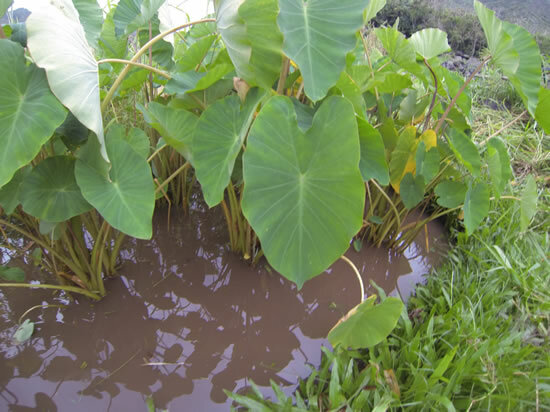 Hawaiʻi Island - Restoring Loʻi and removing invasive species in Waipiʻo Valley, working with a Native Hawaiian fishery, and the restoration of the Aliʻi path throughout the Kona district. Interested in becoming a part of BTA? Final Deadline to apply for BTA 2019 is January 14 with Final Payments Due by January 21. You will be notified that the application was received and be scheduled for and interview. Not all applicants will be selected. Once selected and payment is received, you will be assigned to a BTA group based on your island interest and will be notified of all training dates. If you have any questions or concerns please contact the BTA office. BTA was featured in Ke Kalahea during the Spring 2016 semester, check out the article (PDF)! We are working to put together information about each island that we visit. Please feel free to browse what we have so far to get a better idea of what BTA is.